Donald Trump will be the next president of the United States, according to the Associated Press. 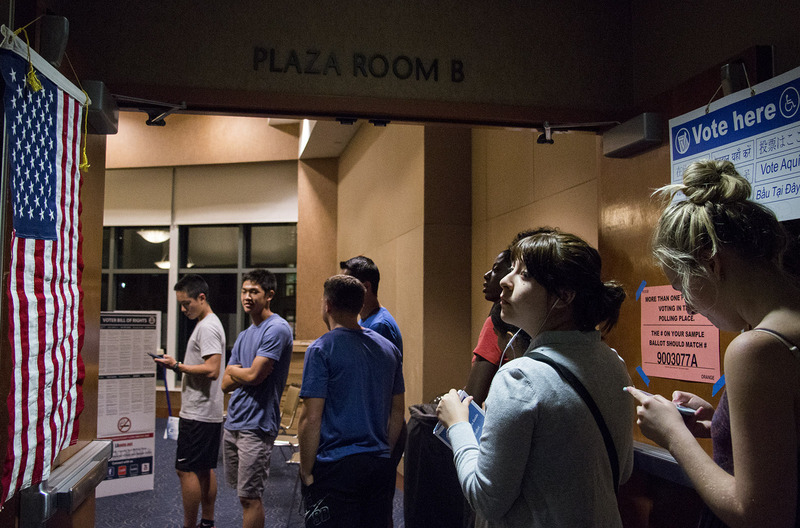 The AP called the race for Trump after it projected he would win Wisconsin at 11:29 p.m. Pacific Standard Time. 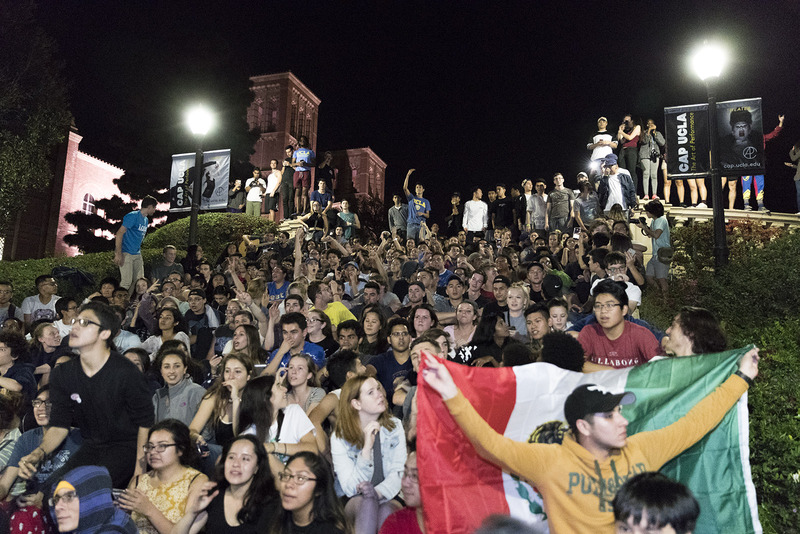 Students reacted with disappointment and disbelief at several viewing parties on campus. 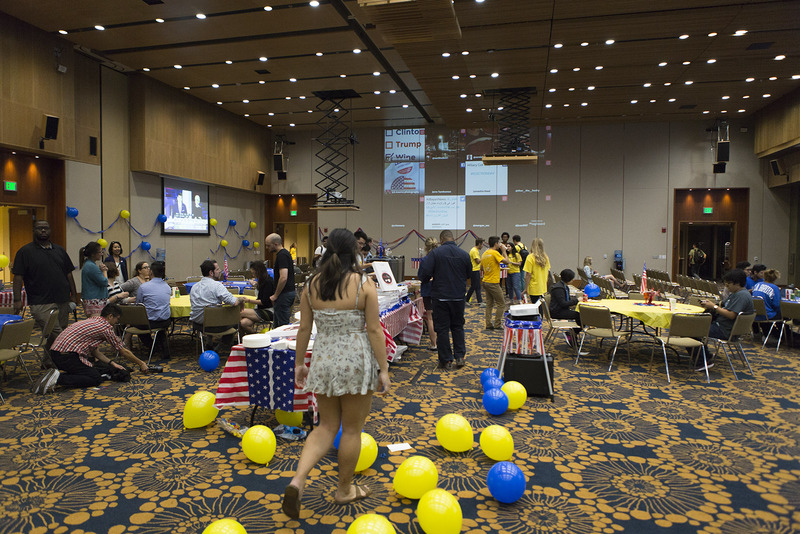 At a Community Programs Office election watch party in Wilson Plaza, about 850 students enjoyed free food and listened to music while news coverage of the election played on a large screen. While the evening started with a light mood as early results rolled in from states in the east, the mood darkened when news organizations began calling state after state in favor of Trump. 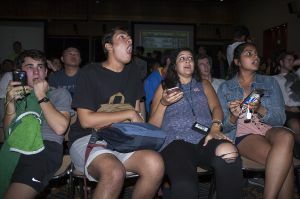 Students watched the screen with stunned faces, holding their hands over their faces in disbelief as they slowly watched Trump’s electoral vote total rise over the course of the night. People sat frozen in their seats, cried on the floor or tried to pass the time with free food and dancing. Whenever a news channel projected a state for Hillary Clinton, cheers erupted from the crowd. 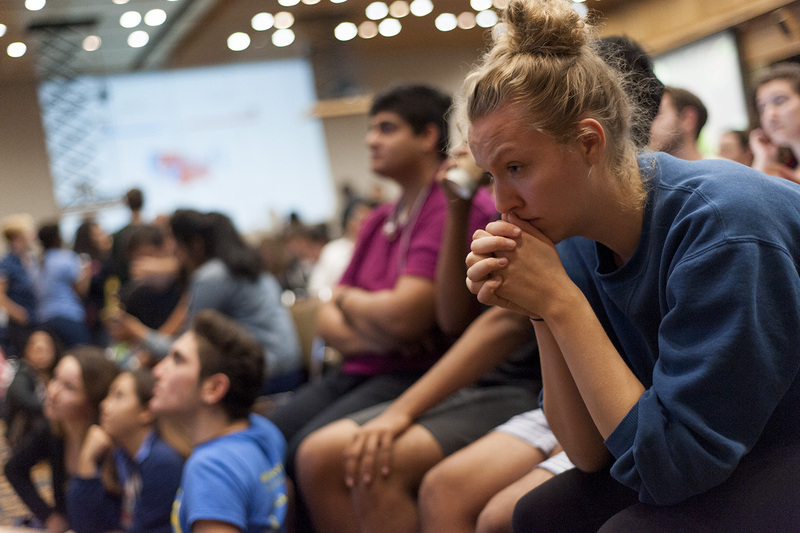 Calls of states for Trump were met with silence. Many described a numb feeling. 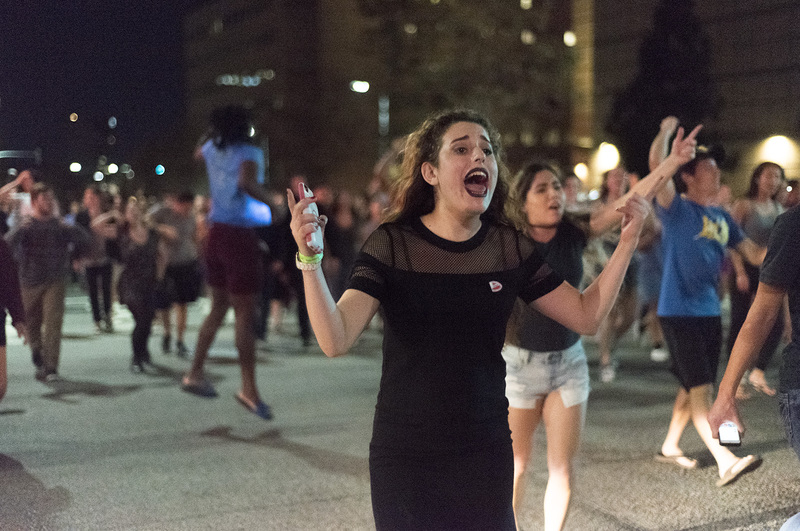 Simran Saini, a second-year communication studies student, said she was speechless. 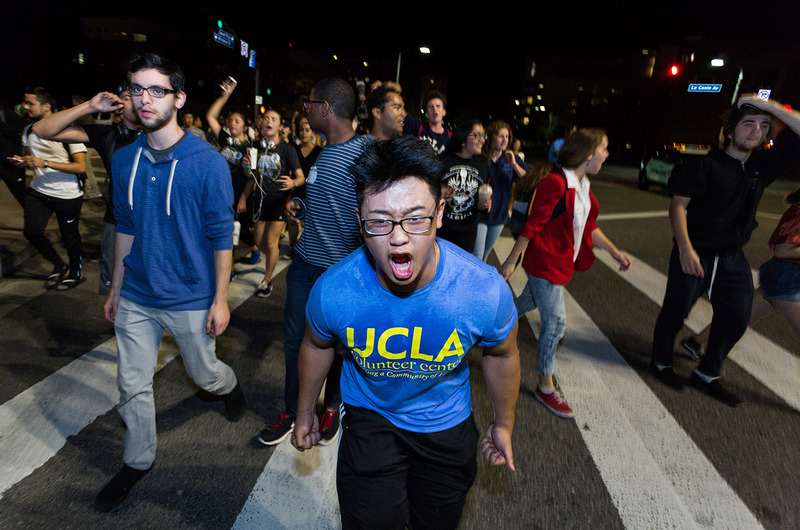 “Cognitively, I knew Trump winning was always a possibility, but I never thought it would actually happen,” Cho said. 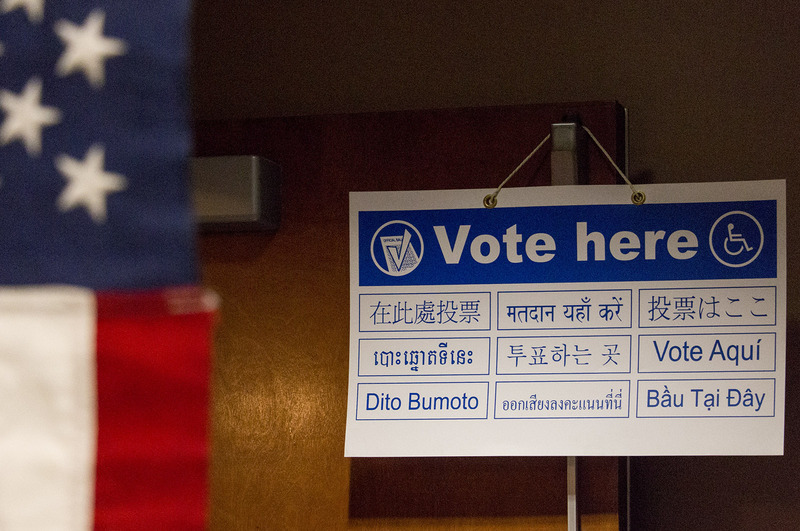 Ohta said she was very concerned with the perception of the United States internationally if Trump won. “Obama made great strides as a spokesperson for America, but a Trump presidency will fuel more international conflict,” Ohta said. Justine Dorsey, a fourth-year English student, said she was absolutely devastated. 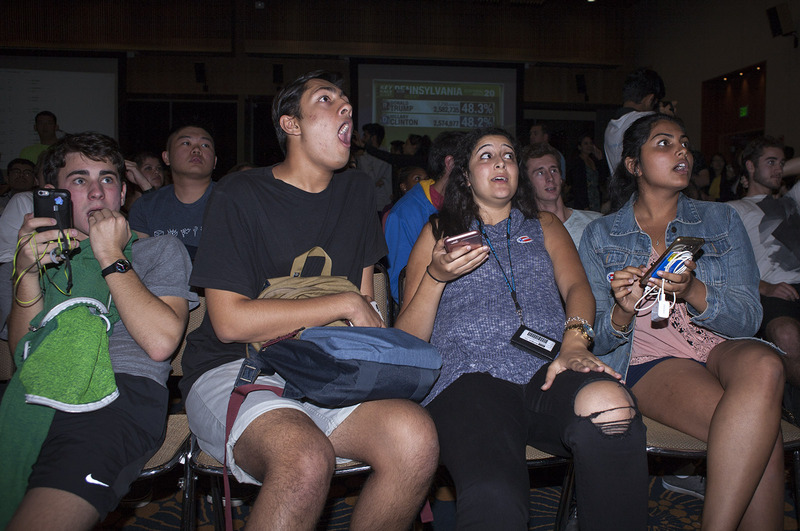 Most students at the watch parties supported Clinton, but Trump supporters also watched screens in anticipation. Michael Rothman, a Trump supporter and third-year communication studies student at California State University, Northridge, said even he was surprised by the closeness of the race. “I think it shows that the U.S. is ready for a change,” Rothman said. Rothman added while he agrees with Trump’s objectives, he said he doesn’t know how Trump would implement his policies. 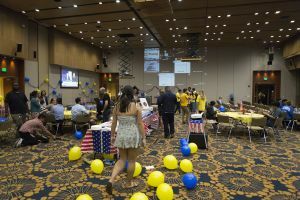 The mood was similar at a watch party on the Hill, hosted by the On-Campus Housing Council, undergraduate student government general representative and BruinsVote! 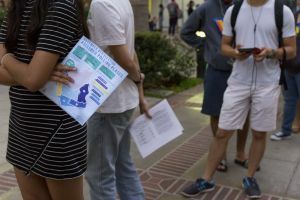 Akash Raman, a fourth-year economics and Spanish student, said he was trying to study for a midterm, but had not turned the page to his book in more than an hour. 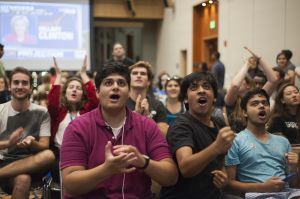 Raman added he, along with most polls, thought Clinton would win. 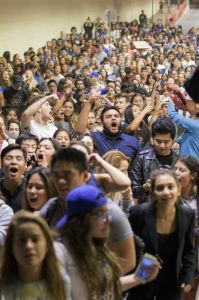 Students’ attention was focused on the presidential race, but several Californian races made history. 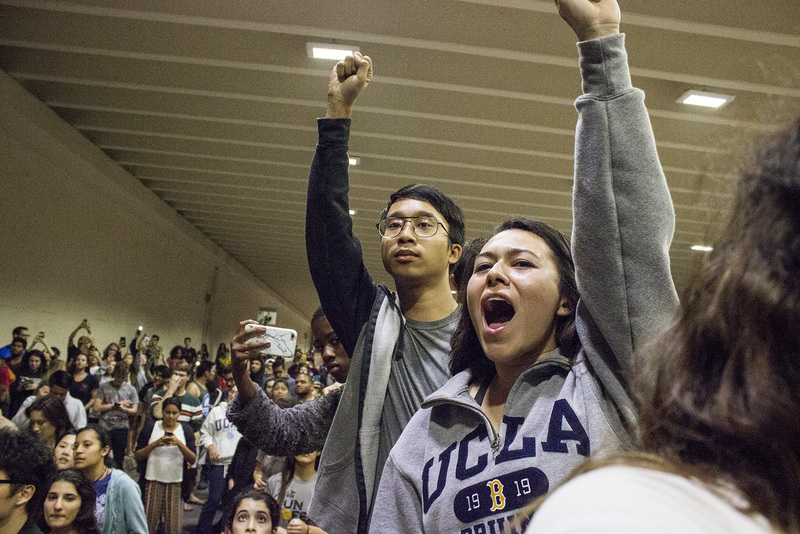 Voters in California elected Attorney General Kamala Harris to the United States Senate. She defeated fellow Democrat Rep. Loretta Sanchez and will succeed retiring Sen. Barbara Boxer. 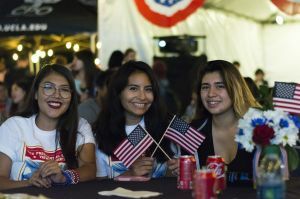 Harris will be the first biracial and Indian-American senator from California. Voters also voted to legalize marijuana, maintain higher tax rates on wealthy individuals and allow parole consideration for nonviolent felons. 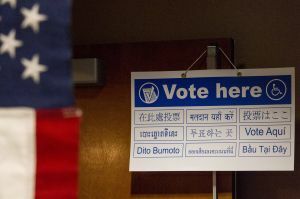 Propositions to maintain a ban on plastic bags, increase gun and ammunition controls and repeal the death penalty were too close to call. 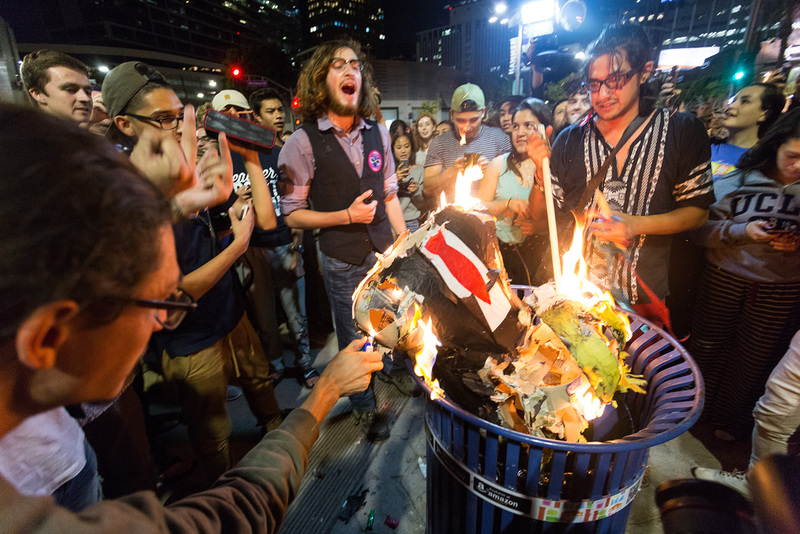 That lead picture really captured the sentiment. Nice article. He’s holding his hoodie, not a “blanky”…. ? Don’t have someone as corrupt like Hillary as your candidate then.